Welcome! …or in the Gaelic, Failte! 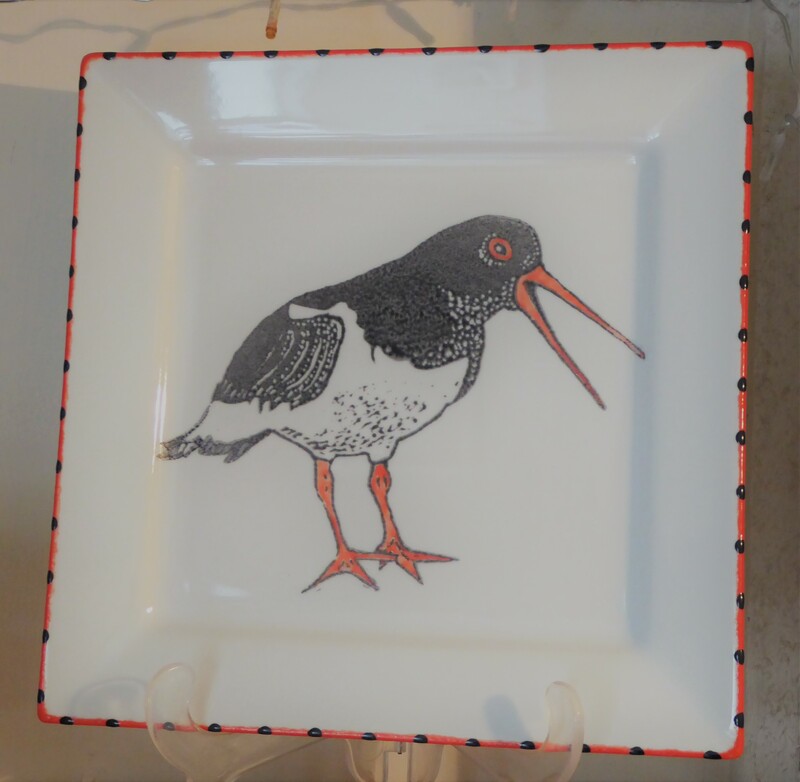 Great to have you visit Summer Isles Studio’s website to view my ceramics – inspired b y life around Achiltibuie and the Summer Isles! I am producing a range of unique and contemporary designs generally themed on West Highland coastal life … but if inspiration leads me in other directions I will go an d explore possibilities there too – so although you’ll find the oystercatchers, barnacle geese, fishing boats, mackerel and lobsters here, you’ll not find the blue cheetahs that stalk some of my porcelain bowls. Every piece is hand decorated by me, so each varies, perhaps subtly, perhaps boldly. Except for occasional experimental pieces, and unlike many commercial potteries, I don’t use pre-printed ‘transfers’ to give decoration and pattern. 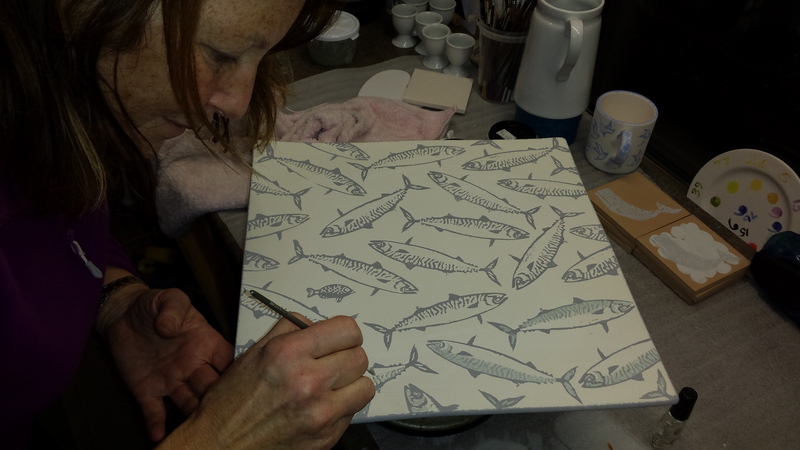 Rather I use the traditional Scottish Spongeware technique – sponges I have cut myself to create repeat patterns – or I paint with my glazes freehand and use the ‘sgraffito’ method (scraping through glaze to reveal underlying colour and texture) to produce my pieces. 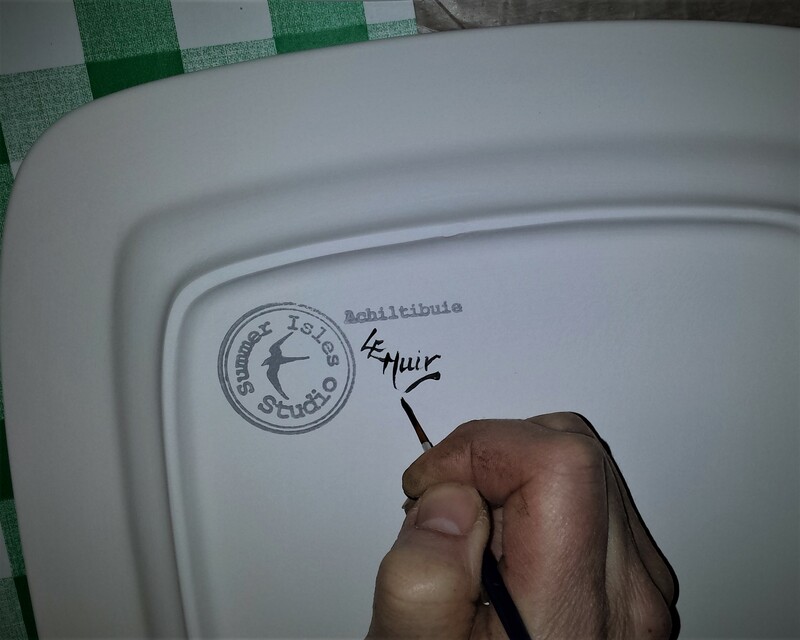 As befits their individually uniqu e status I hand sign each piece before its final kiln firing. I have my platters, bowls and pitchers slip-cast for me in the shapes I want using high quality white china clay – the bowls ring like a bell! Then I apply layers of glaze in a variety of ways to build up the surface design, often finishing with a thick layer of clear glaze to give a lovely rich, glossy finish to each piece. Having started my business from my home in Polbain overlooking the Summer Isles in 2015, I have moved to a new gallery and workshop close by, just along the road. FISK Gallery is still ‘work in progress’ being converted by my husband and myself from what was originally a big corrugated iron shed in the 1930s and became the Polbain general store until it closed in 2013. Now it has a large open plan loft workshop area used by two skilled local textile craftswomen and my own workshop and kiln below…we fill FISK Gallery with our works of hand and heart! Please come and visit us. The Gallery is Open all year round. Contact me directly at FiskGallery1@gmail.com before undertaking a long journey to ensure that we are open when you wish to arrive.